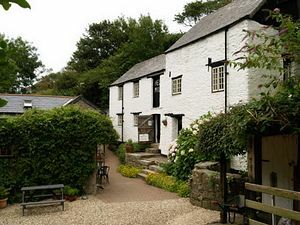 The Old Corn Mill, an oasis in the corner of Hele Village. 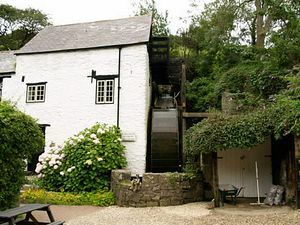 Unique in North Devon, is a 16th Century Watermill with an 18ft. Overshot wheel. 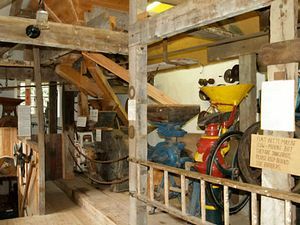 This magnificent restoration from dereliction contains a wealth of information and interesting machinery. The Mill can produce 100% wholemeal flour. Unique pottery and handicrafts available as well as paint your own pottery. Cream teas and light refreshments are always available in our Tea Room or The Mill Orchard Garden. On the A399 Ilfracombe to Combe Martin road. 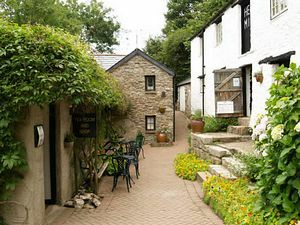 Footpath leads from Bus stop to the Mill (200 yards).